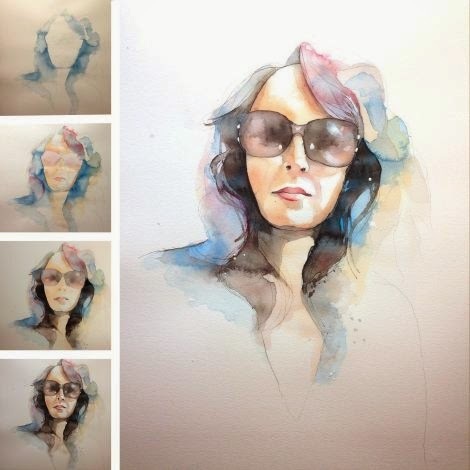 Charlie Goff-Deakins Art is a very creative artist from Buxton UK. He paints lovely portraits of celebrities and people with real emotion his work is effortless. His latest project was on “Selective Attention Series”. 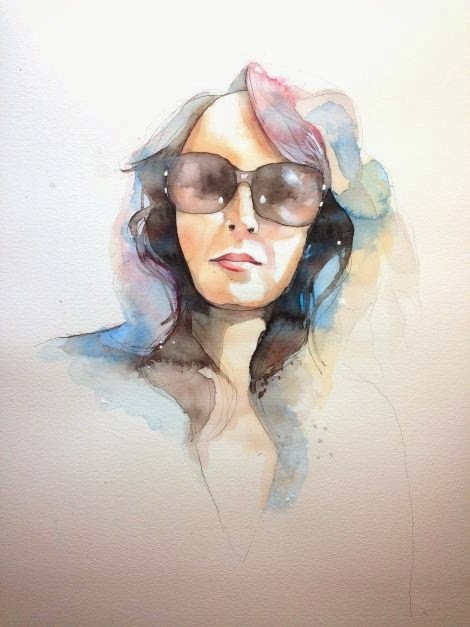 The challenge for Charlie was painting my portrait “Heather” with sunglasses. Charlie said “I’m so pleased with the outcome-as an “alternative” fixation point (as there are no visible eyes) I used the dark shadows of the eye sockets as the main central point. The contrast in light at this particular area drew my eyes towards the middle. A process that’s commonly referred to as bottom-up attention this is a process where your eyes are immediately drawn to key areas of contrast (in light, colour etc) and where you find the main points of fixation. It is thought by the brain that this is where the key points of information are contained and so therefore points of interest that need prompt attention. The end result still ‘’anchors’’ my eyes to the dark areas in the middle of the sunglasses. “ To see more on Charlie’s work check out the links below.